This program is designed to give you a better-looking, healthier lawn. The basic program includes 7 applications that promote growth and health. 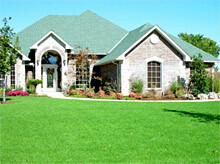 Our weed control specialists will give your lawn customized care based upon your specific needs. Proper fertilization is the cornerstone to any turf management program. 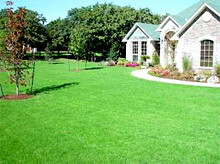 Our time-released fertilizers keep your lawn green throughout the year. Proper weed control is the foundation to the health of any lawn. We treat your yard throughout the year with proper post/pre emergent for control of broadleaf and grassy weeds. © 2019 Damon Johnson Inc.